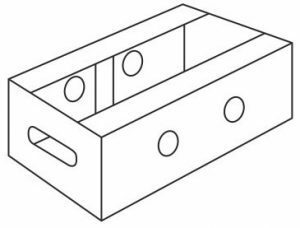 A box has 3 dimensions, these are always quoted as length x width x depth. 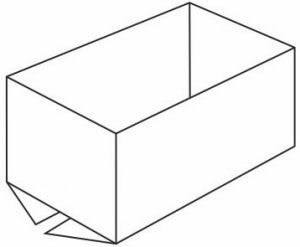 The first 2 quoted dimensions denote the opening of the box, with the largest one first – the length. Second is the width, third is the depth. 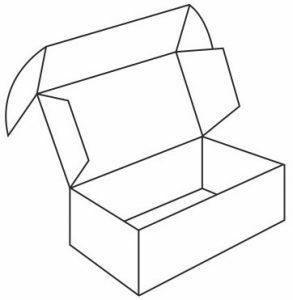 Sizes quoted are usually internal and you should always allow for the glue flap and internal top and bottom flaps. Choose a regular 0201 or a die cut. There are a number of popular die cut styles shown below. 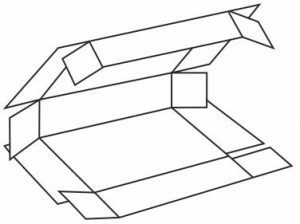 Some of these can be assembled without the need for tape and can include folding lids, hand holes and tuck in flaps. The downside of die cuts is that they are stamped out with a special tool which does of course have to be paid for. The price of the tool varies with the size of the carton but, for long runs, the tool will eventually pay for itself. 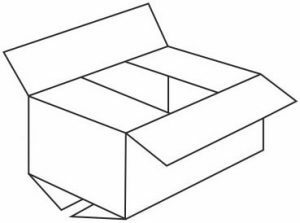 Corrugated board is made from 3 layers – the outer liner, the flute and the inner liner. 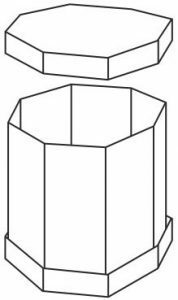 A standard box will have a Kraft paper outer liner, a test liner flute, and a test liner inner. The weight of the paper is denoted in the board spec, e.g 125KTB means a 125gsm Kraft outer, a 125gsm test liner and a B Flute. Double wall usually has a B and C flute combined to make it stronger, but it’s obviously more expensive. 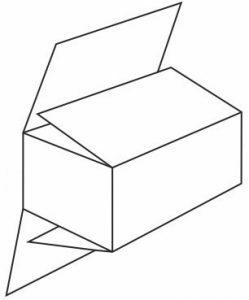 You can beef up a carton by using a thicker paper or a stronger flute. These boxes have been custom printed. Reference print in a single colour is relatively inexpensive and would usually be a stock number or bar code. Single colour prints often look better on white or mottled boxes. Bear in mind, that before any printing can be done, stereos have to be made and that adds to the cost. These are usually priced per square inch, so a bigger print on more panels will mean a more expensive stereo. Also, more colours means more stereos and extra cost. 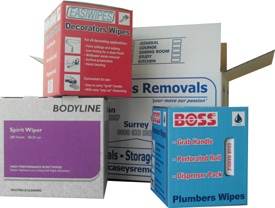 If you are looking for a small run, it is often cheaper to get a label made. The corrugated industry often work to FEFCO styles. FEFCO is the umbrella organization of European associations of corrugated board manufacturers. They have designated numbers to certain box styles, which makes it easier to explain what you want and means everyone is talking about the same thing. However, this doesn’t mean you can’t invent your own style. 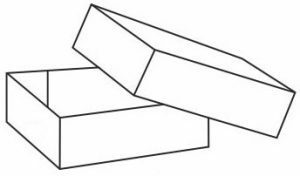 Styles are variations on themes – an 0201 is a regular 4 flap carton – an 0200 is an 0201 without top flaps, and an 0203 is an 0201 with fully overlapping flaps to make the box stronger top and bottom. Below are a few of the most popular styles. Board is always priced per square metre and price breaks usually occur at 200, 500, 1000 and 3000 sq m.
Sometimes, by buying a few extra boxes, the quantity moves into the next price break, so you can end up spending less money on a bigger quantity. Smaller runs (less than 200 sq m), will be made from stock board which will often incur waste. When asking for a quote always ask for the next price break, we can calculate how many you will have to order within a few minutes.